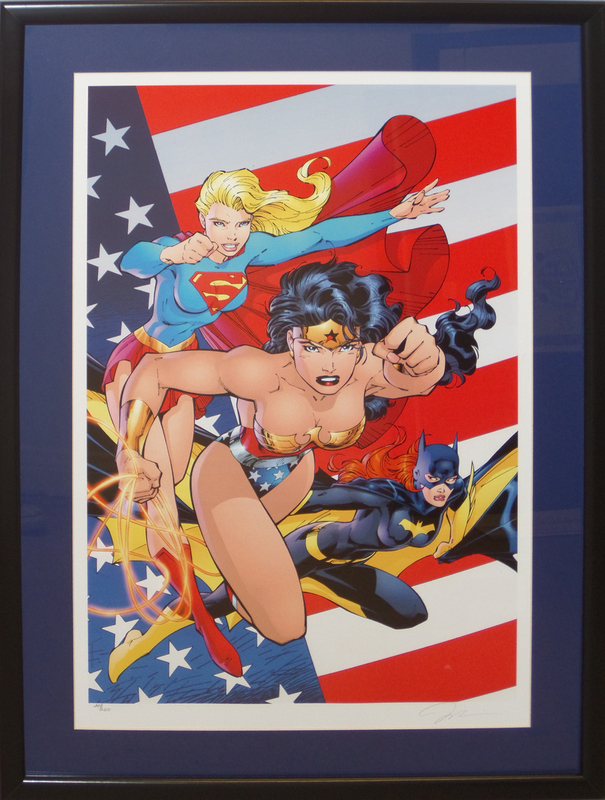 This is a limited edition lithograph on paper (2000) entitled Heroines of the DC Universe. It is signed by Jim Lee, and is #208/250. It includes the Warner Bros. COA. The image measures 25" x 16.5" and the frame measures 32" x 23.5".